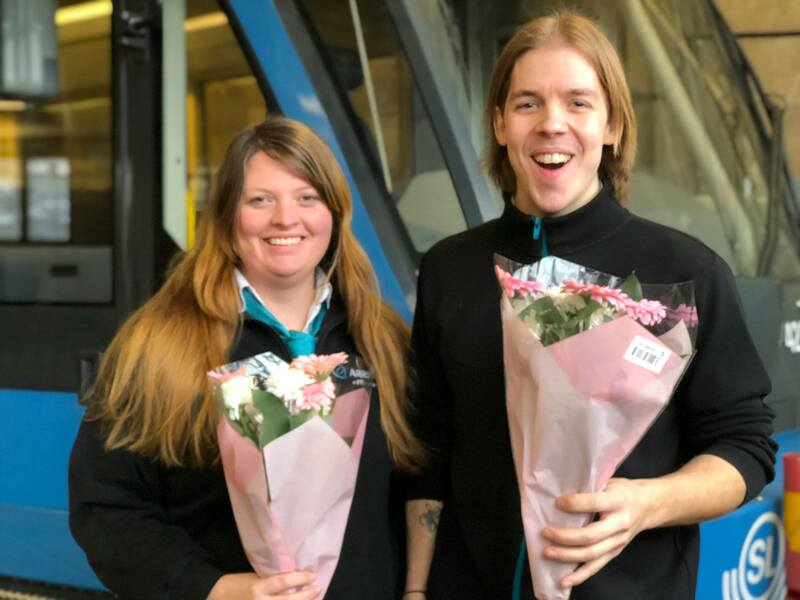 If it`s true that nobody can resist an idea whose time has come, then the competition of the best European tram drivers will be one of the highlights of public life in the larger European cities. 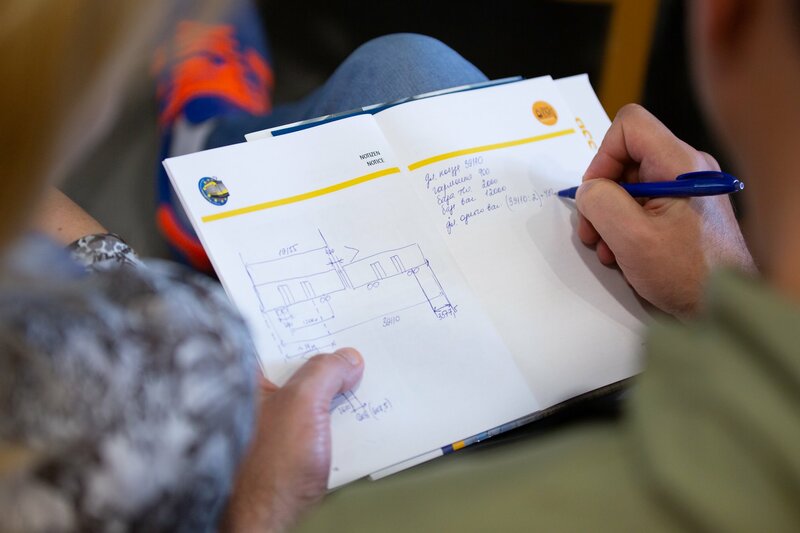 Coming together here is what our company stands for in the very best sense: European competition, environmental sensitivity, and technical innovation. 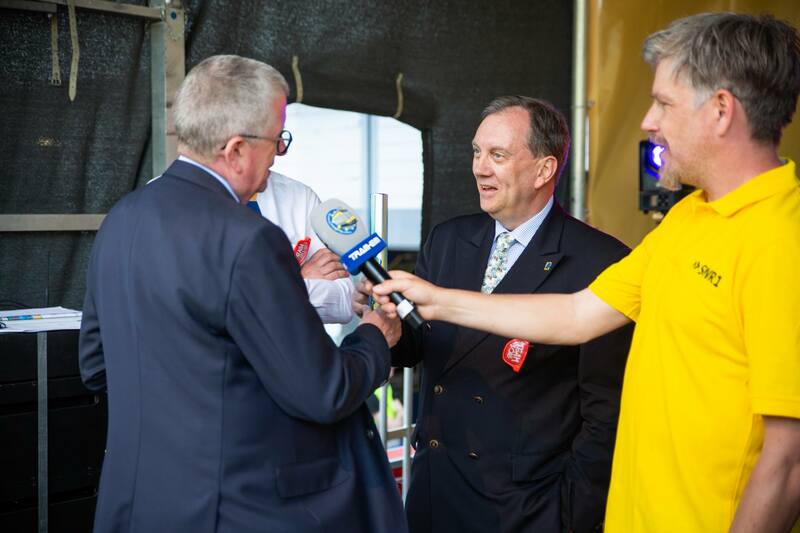 In fact it has developed at increasing speed from a single successful event to become an international tradition: Once a year the best tram drivers of the continent come together to find out who`s best. The suitcases are packed. Many teams are already on the return flight. 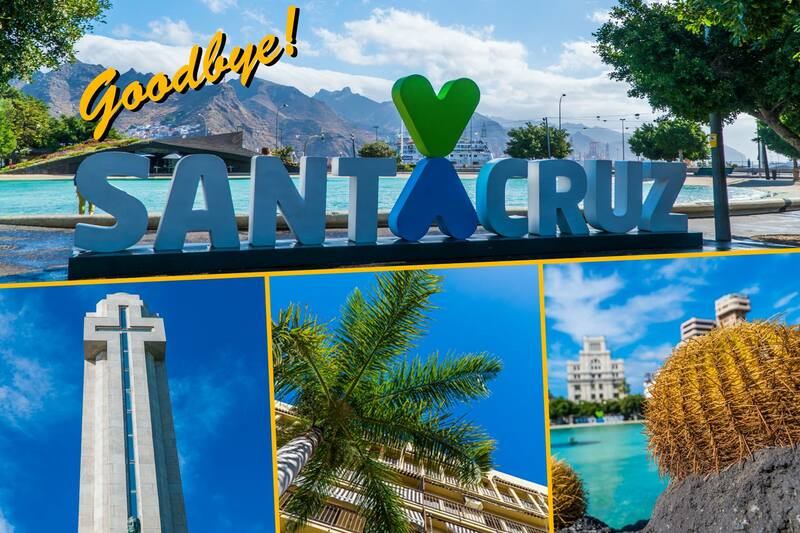 We would like to thank all public transport authorities who have sent a team to Tenerife. It was a great experience again, wonderful weekend in Santa Cruz, and a successful 6th TRAM-EM. 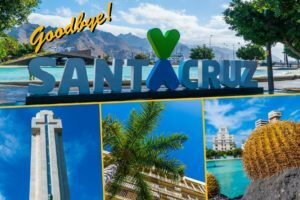 Our special thanks goes to the host of MetroTenerife! In an exciting finale the team Corinne Leroy and Karim Annouche from Paris secured the title “TRAMDRIVER-CHAMPION 2017”. 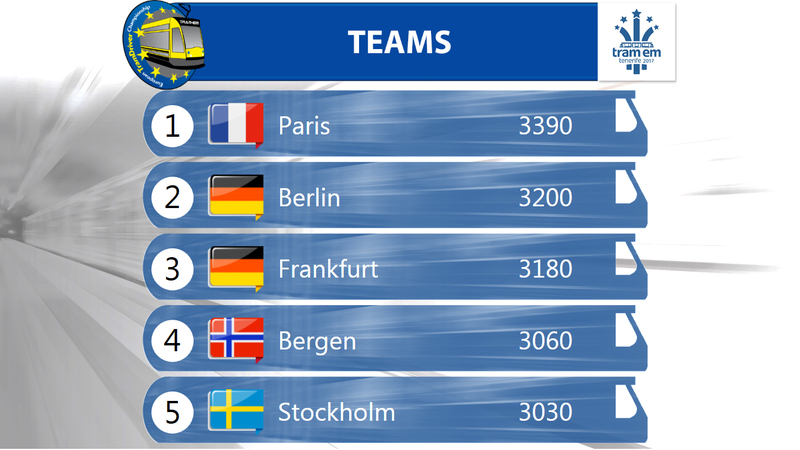 There follows Berlin on the 2nd place and Frankfurt on the 3rd place! 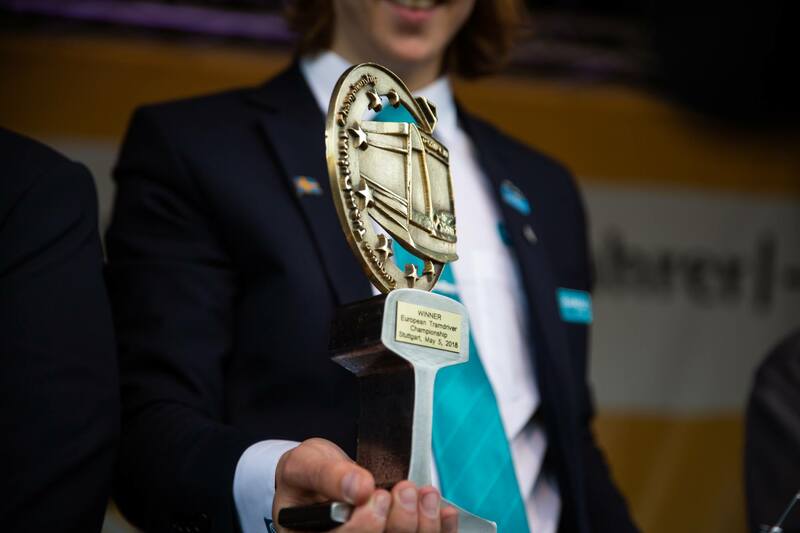 Franka Sonntag from Berlin won the title “Europeans Best Female Driver” followed by Zsuzsanna Ledniczki from Budapest and Alexandra Engeseth from Bergen. The best European male driver is Karim Annouche from Paris followed by Thilo Korbien from Frankfurt and Christoph Engelmann from Zurich. 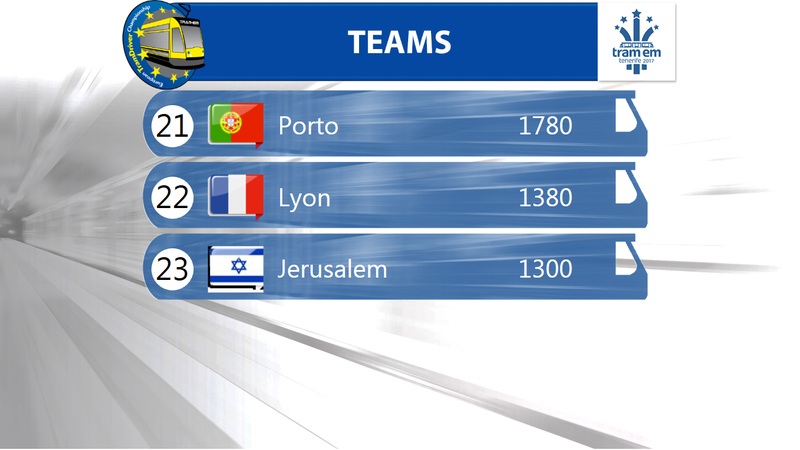 We sincerely congratulate all teams on an amazing championship! 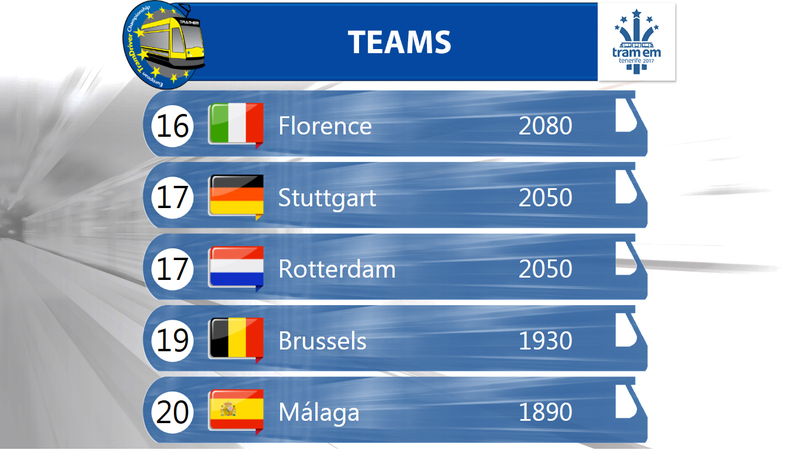 The 6th European TramDriver Championship will start in a few minutes! 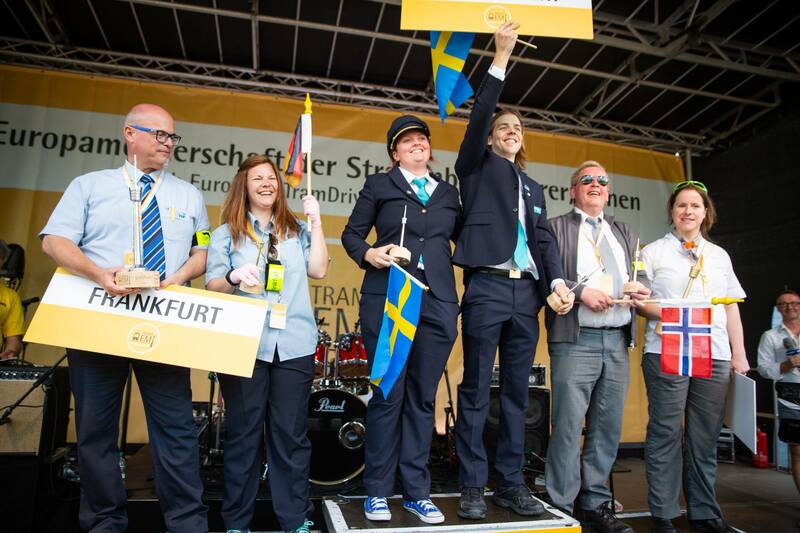 Start for the 6th European TramDriver Championship! What an atmosphere it was this morning: 46 happy and excited drivers follow the welcome speech of Andrès Munoz de Dios, Managing Director of Metrotenerife. He presents his company and the schedule of the three day event. Afterwards each team presented themselves with a smart video and a big Hello in the common round. And finally: the disclosure of the championship disciplines was very much expected as every year. The waiting has an end: We really enjoy to present you the latest program of the 6th TRAM-EM at Tenerife. 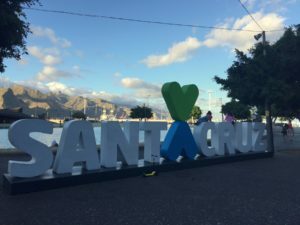 The event will take place at the depot of Metropolitano de Tenerife, Ctra. Gral. La Cuesta-Taco, 124 in 38108 La Laguna, Santa Cruz de Tenerife. We are looking forward to greeting you on beautiful island! For those unable to attend the competition in Berlin personally we will provide the event, with 12 cameras from 10AM to 6PM, on our website www.tramem.eu. The TRAM-EM will be also shown on the TV channel RBB via cable and satellite. Turn on April 23 on 6:30 PM! 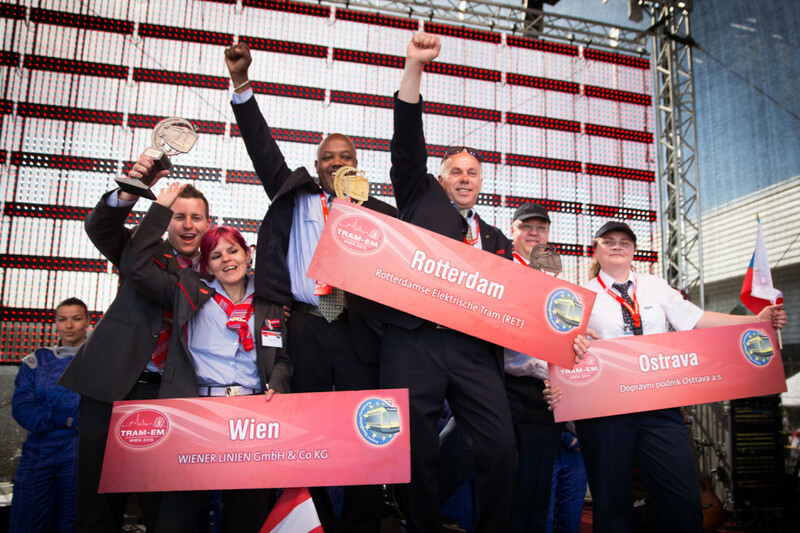 27 teams from 17 European nations will participate on April 23 to determine the rail driving champion. Registered are: Barcelona, Bergen, Berlin, Brussels, Budapest, Dresden, Florence, Frankfurt/Main, Helsinki, Krakow, Leipzig, Lyon, Madrid, Oradea, Ostrava, Paris, Rotterdam, Stockholm, Stuttgart, Tenerife, and Vienna. We are especially pleased to welcome new participants from Birmingham, Gothenburg, Innsbruck, Porto, Prague, and Zurich. The first fan buses have also been announced, for example from Dresden, Vienna, Budapest, and Zurich. Meet tramdrivers from 27 European cities and discover your favorites in the drivers camp. For children a playarea is available. 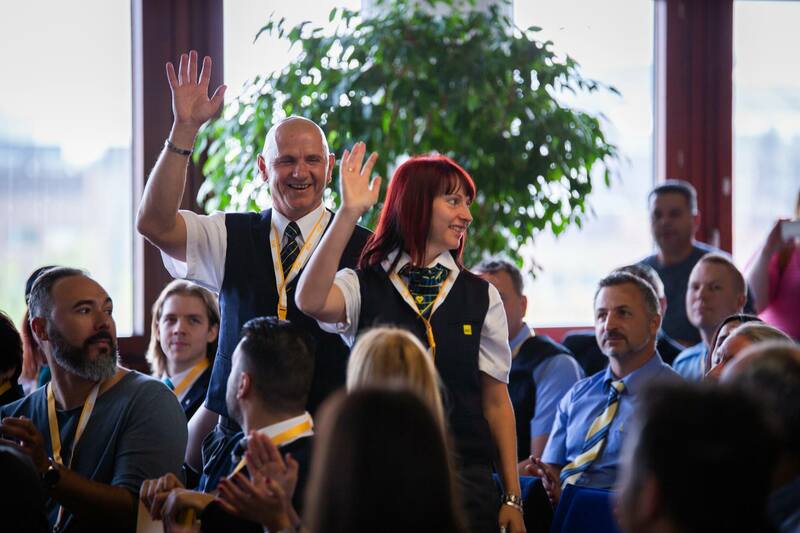 Information of the latest career opportunities from BVG will be available. A food and beverages will also be provided. Finally the disciplines for the 5th TRAM-EM on 23rd April 2016 in Berlin are definite. 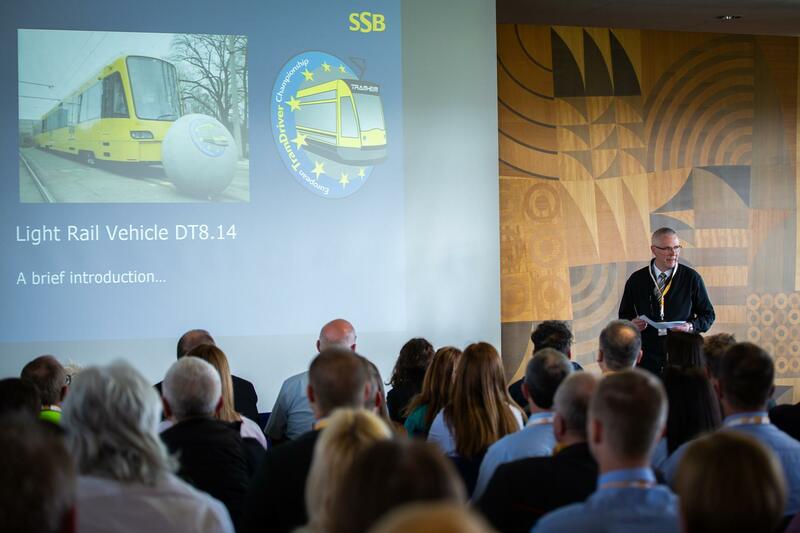 With the collaboration of the Berlin transport service authority BVG we have intensively discussed the tasks and finally determined 5 competitive disciplines. Fun and excitement are guaranteed on a 150 meters long course with 3 rails and 2 different tram types. 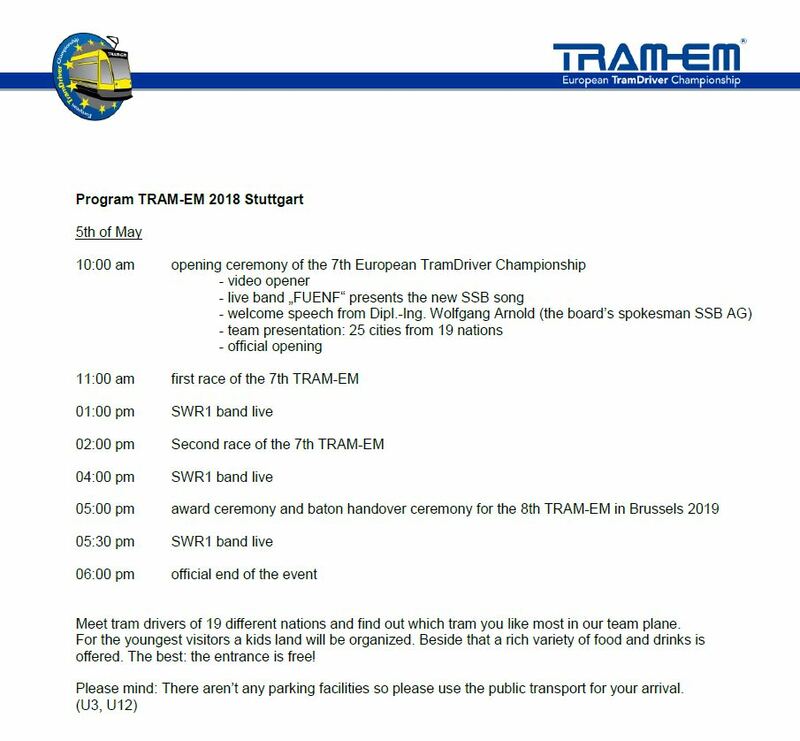 This is how the 5th TRAM-EM looks like! What is yellow, related to a tram and includes the “Berlin Bear”? 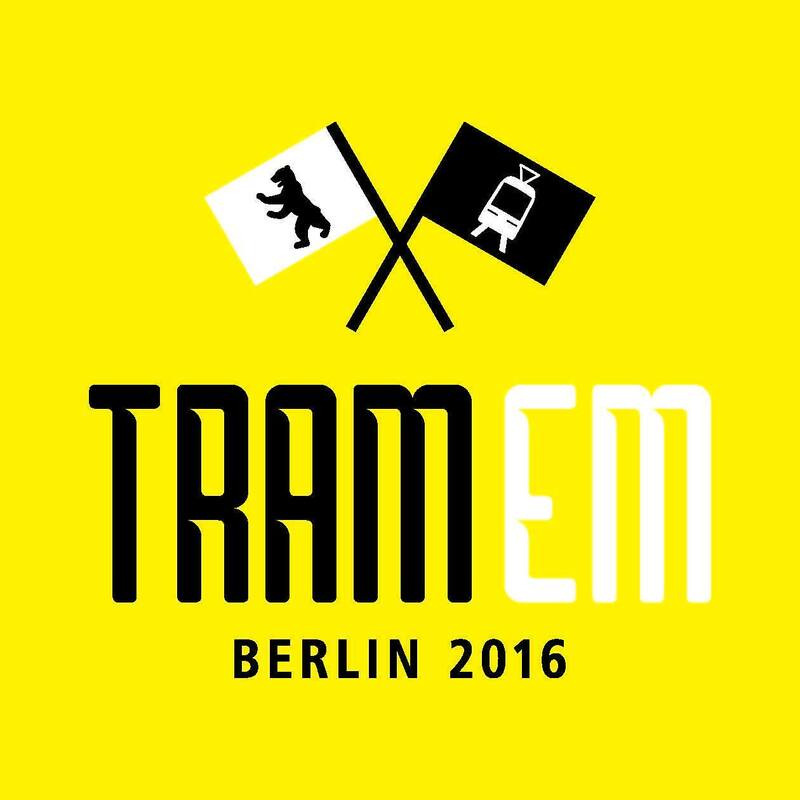 – Right, the new official logo of the TRAM-EM 2016. 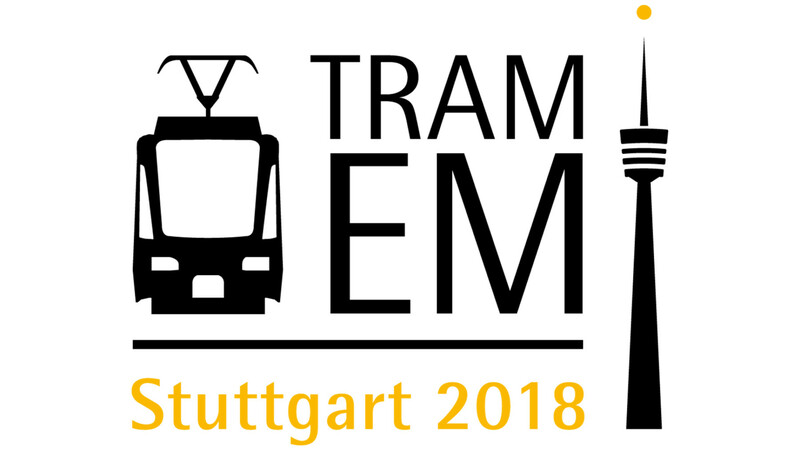 Because the 5th TRAM-EM takes place in the metropolis Berlin this year. And that you don´t miss the championship, the Berlin transport service authority BVG will soon start an extensive poster campaign within the Berlin cityscape. Therefore keep your eyes open and save the date – The big day is on April 23, 2016 in the depot Lichtenberg! As always we are interested in your opinion. How do you like the Logo? 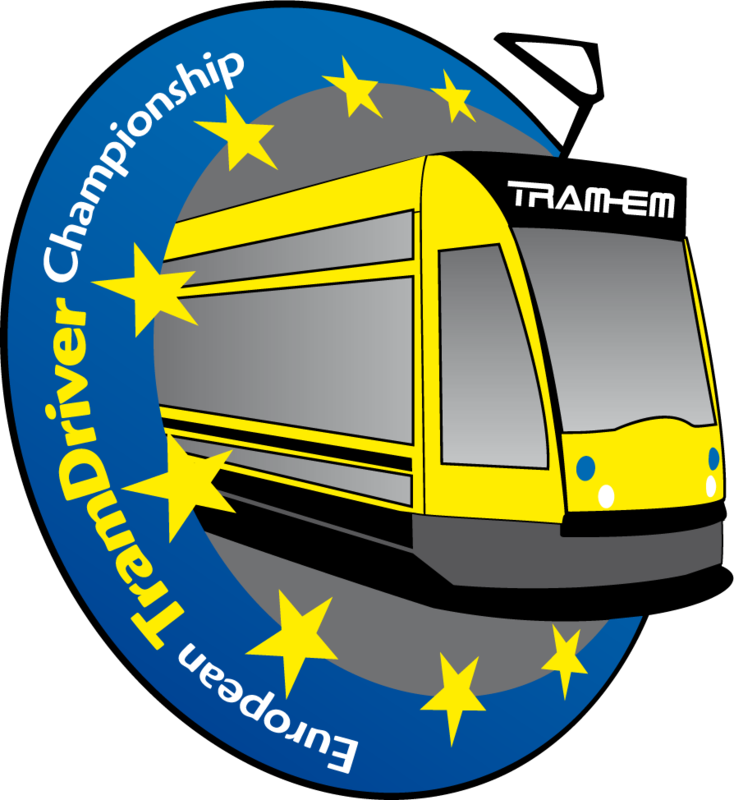 The 5th European Tramdriver Championship will take place in Berlin from April 22nd – April 24th, 2016. The highlight will be the public competitions on April 23rd, 2016. 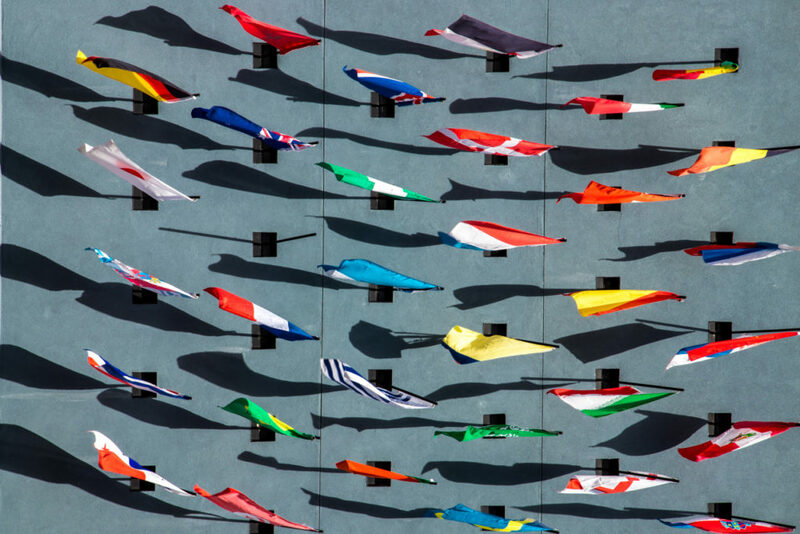 Twentyfive teams from sixteen nations want to know who masters the course, the material and the nerves as the best? New in 2016: For the first time we will have rankings for woman, men, and teams. 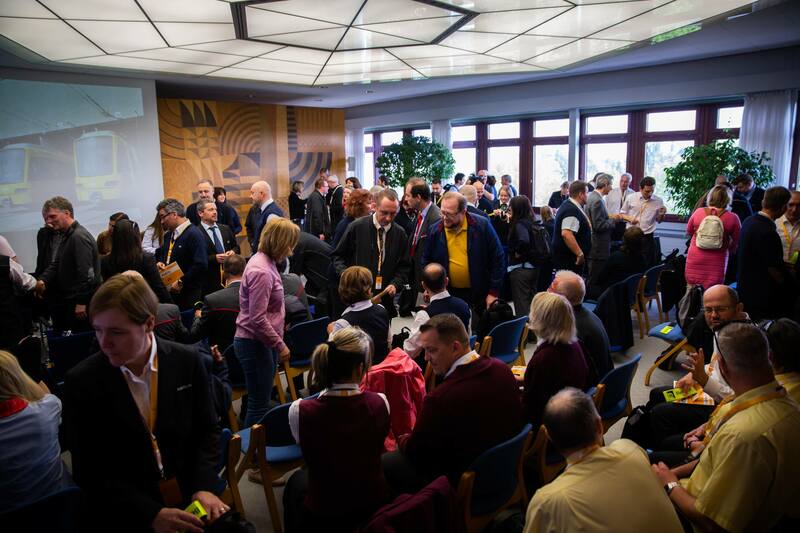 The preparations for the 4th European Tramdiver Championship in Vienna are in full swing. The following teams will be part of the competitions: title defender Parla (Madrid), hosting team Vienna, team Barcelona, Bergen, Berlin, Brussels, Budapest (winner 2012), Dresden, Firenze, Graz, Helsinki, Krakow, Leipzig, Lyon, Manchester, Norrköping, Oradea, Ostrava, Paris (winner 2013), Rotterdam, Stockholm, Stuttgart and Tenerife. 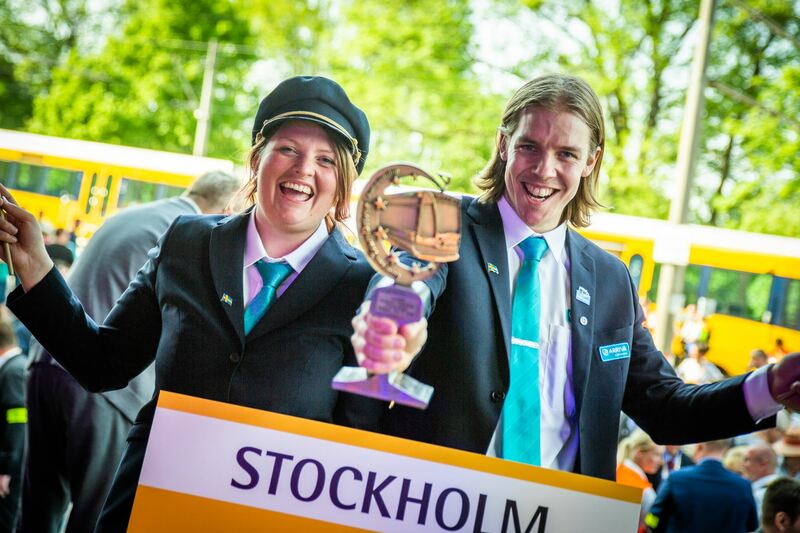 The TRAM-EM trophy – here it is! We are proud and satisfied to present today the official winner’s trophy of the European championship! 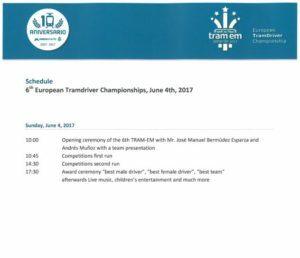 The preparations are in full swing in Barcelona for the 3rd European Tramdriver Championships. 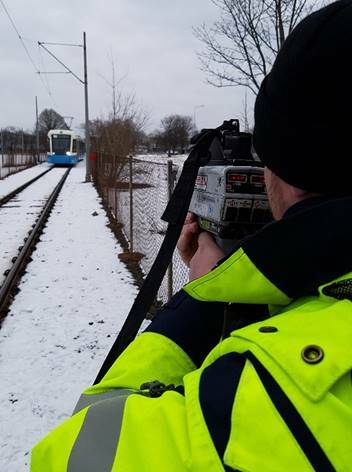 The team of Jose Triano Romero, head of operation control centers at Barcelona Tram, have tested and approved each of the six competition disciplines. New at the competitions this year is tram-bowling – it looks like a lot of fun. 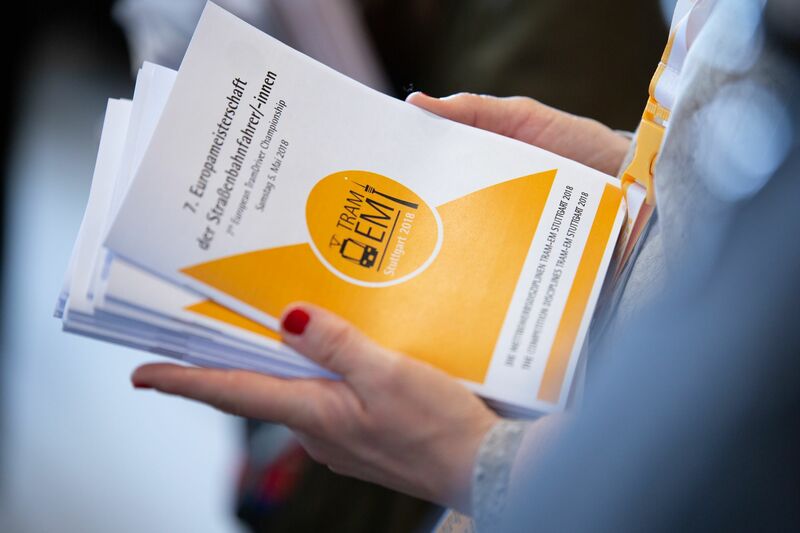 The brand new TRAM-EM info-booklet is here! Home game for the defending champion. 14 teams from 8 nations came together to deny the Hungarians a second European championship. 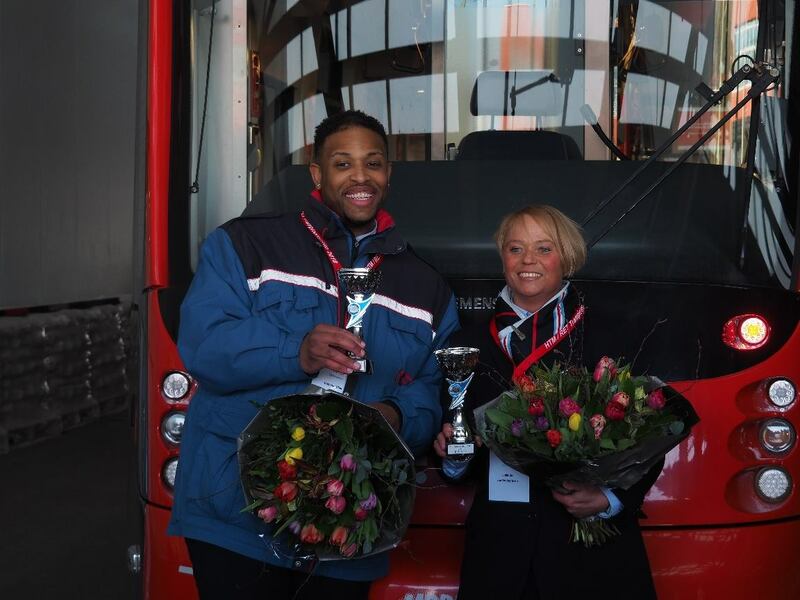 Thank you for your hospitable welcome to the first European championship for tram drivers.